Die Talkrunde für Informationen, News und Wissenswertes rund um unbemannte Flugsysteme in Hobby und Business. General Aviation news, pilot tips for beginners & experts, interviews, listener questions answered, technical details on G1000 & Perspective glass cockpits & flying GPS approaches. 40 yrs experience flying general aviation aircraft. As an active flight instructor, I bring my daily experiences in the air to this show to help teach pilots and future pilots to fly safely. I'm a Platinum Cirrus CSIP instructor and work with people who are thinking about buying a new or used SR20 or SR22. Go to AviationNewsTalk.com for my contact information, or to click on Listener Questions, which lets you speak into your phone to leave a question you’d like answered on the show. 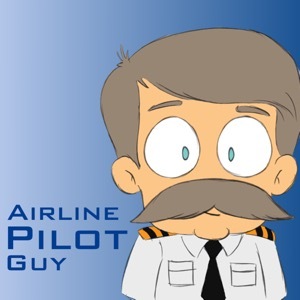 The Pilot to Pilot podcast is a place for aviators to come for inspiration and encouragement. We aim to help all types of aviators continue pursuing their aviation dreams, whether that be flying commercially or flying for fun. Flite Test is an entertainment company that is all about flight. We love to test, fly and sometimes even crash when things go wrong! We often talk about flying, building & repairing RC airplanes, setting up quadcopters, occasionally helicopters and anything else related to radio control flight. FliteTest After Hours is hosted by Chris and he often goes into the behind the scenes of the webshow, the radio control industry, and has very entertaining guests on the show.